简介: In six brand new modules, you will learn necessary tools to examine complex competitive situations and find strategic solutions for them. This course is the advanced version of Competitive Strategy and is designed for those who are eager to find out more about how companies choose strategies to obtain competitive advantage. 简介: This course focuses on recent developments in contract theory. Topics include: advanced models of moral hazard, adverse selection, mechanism design and incomplete contracts with applications to theory of the firm, organizational design, and financial structure. 简介: 14.461 is an advanced course in macroeconomics that seeks to bring students to the research frontier. The course is divided into two sections. The first half is taught by Prof. Iván Werning and covers topics such as how to formulate and solve optimal problems. Students will study fiscal and monetary policy, among other issues. The second half, taught by Prof. George-Marios Angeletos, covers recent work on multiple equilibria, global games, and informational fictions. 简介: 14.462 is the second semester of the second-year Ph.D. macroeconomics sequence. 简介: Professor Blanchard will discuss shocks, labor markets and unemployment, and dynamic stochastic general equilibrium models (DSGE models). Professor Lorenzoni will cover demand shocks, macroeconomic effects of news (with or without nominal rigidities), investment with credit constraints, and liquidity with its aggregate effects. 简介: In this course, participants will develop an understanding of the intuitive foundations of asset and investment valuation, and how alternative valuation techniques may be used in practice. This is part of a Specialization in corporate finance created in partnership between the University of Melbourne and Bank of New York Mellon (BNY Mellon). 简介: This course will improve your fluency in financial accounting, the language of business. You will learn how to read, understand, and analyze most of the information provided by companies in their financial statements. These skills will help you make more informed decisions using financial information. 简介: Arts and culture leaders have a rewarding but tough task: creating sustainable organizations that deliver real social value. There is a lot of competition out there. Being an effective leader means constantly adapting, cleverly using the best tools to reach as many people as possible. This course is designed to help leaders at any level do just that. 简介: This course is an introductory survey of graduate-level academic asset pricing. We will focus on building the intuition and deep understanding of how the theory works, how to use it, and how to connect it to empirical facts. 简介: This course is part two of an introduction to graduate-level academic asset pricing. This second part uses the theory and elaborates empirical understanding. It shows some classic applications including the Fama-French three factor model, consumption and the equity premium, and extends the theory to cover options, bonds, and portfolios. 简介: This course surveys research which incorporates psychological evidence into economics. Topics include: prospect theory, biases in probabilistic judgment, self-control and mental accounting with implications for consumption and savings, fairness, altruism, and public goods contributions, financial market anomalies and theories, impact of markets, learning, and incentives, and memory, attention, categorization, and the thinking process. 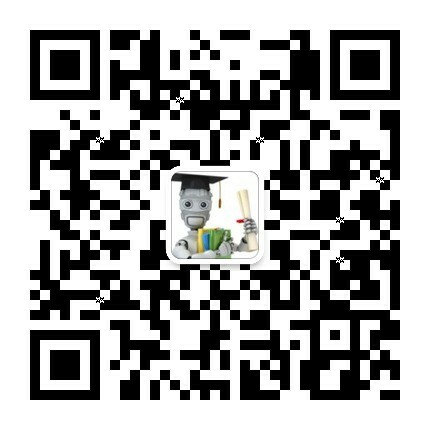 简介: 沃顿商学院的商业分析专项课程系列（Business Analytics Specialization），该系列包括4门子课程和1门毕业项目课程，涵盖消费者分析，运营分析，人群分析，会计分析等，感兴趣的同学可以关注 : Make Data-Driven Business Decisions-Achieve fluency in business data strategies in four discipline-specific courses. 简介: This course develops an interdisciplinary understanding of the social, political, economic and scientific perspectives on climate change. 简介: This course views climate change from a variety of perspectives at the intersection of the natural sciences, technology, and the social sciences and humanities. 简介: In this six-modules course you will learn how firms behave in situations in which strategic decisions are interdependent, i.e. where my actions affect my competitors' profits and vice versa. Using the basic tools of game theory, we will analyze how firms choose strategies to attain competitive advantage. 简介: In today’s world, politics and economics are inextricably interconnected, but the nature of that connectivity and the direction of that causation is often disputed. This course examines the nature of these debates, and it also examines critically the nature of the data upon which the analyses are made and the conclusions are drawn. 简介: ¿Cuál es la importancia de las empresas familiares en el mundo?, ¿cómo garantizar su continuidad y permanencia?, ¿cómo mejorar la comunicación entre sus miembros? y ¿cómo lograr sucesiones exitosas? Este curso brinda estas respuestas a través de la identificación de estrategias para la profesionalización de las empresas familiares. 简介: This course is intended to provide a market-oriented framework for analyzing the major types of financial decisions made by corporations. Lectures and readings will provide an introduction to present value techniques, capital budgeting principles, asset valuation, the operation and efficiency of financial markets, the financial decisions of firms, and derivatives. 简介: Corporate Finance Essentials will enable you to understand key financial issues related to companies, investors, and the interaction between them in the capital markets. By the end of this course you should be able to understand most of what you read in the financial press and use the essential financial vocabulary of companies and finance professionals. 简介: In this course, participants will learn about the key financial decisions modern corporations face, as well as the alternative methods that can be employed to optimize the value of the firm’s assets. This is part of a Specialization in corporate finance created in partnership between the University of Melbourne and Bank of New York Mellon (BNY Mellon). 简介: Ce cours vous permettra d’identifier et d’évaluer des opportunités de création d’entreprises technologiques et d’en comprendre les principaux enjeux humains, techniques, commerciaux, environnementaux et financiers. Vous aurez ainsi des bases solides pour créer votre entreprise high tech ou décider d'en rejoindre une. 简介: Entender las metodologías para la innovación de productos para mercados emergentes. Las metodologías son: 1) megatendencias sociales, tecnológicas y del comportamiento del consumidor 2) JTBD y 3) Matriz Morfológica. 简介: This course emphasizes dynamic models of growth and development. Topics covered include: migration, modernization, and technological change; static and dynamic models of political economy; the dynamics of income distribution and institutional change; firm structure in developing countries; development, transparency, and functioning of financial markets; privatization; and, banks and credit market institutions in emerging markets. 简介: This course emphasizes dynamic models of growth and development. Topics covered include: migration, modernization, and technological change; static and dynamic models of political economy; the dynamics of income distribution and institutional change; firm structure in developing countries; development, transparency, and functioning of financial markets; privatization; and banks and credit market institutions in emerging markets. 简介: Topics include productivity effects of health, private and social returns to education, education quality, education policy and market equilibrium, gender discrimination, public finance, decision making within families, firms and contracts, technology, labor and migration, land, and the markets for credit and savings. 简介: Ce cours est conçu pour accompagner toutes les personnes qui veulent avoir un impact positif dans la société, mais qui ne savent pas comment agir. Quel que soit votre âge ou votre formation académique, ce cours vous aidera à trouver la voie qui vous correspond pour faire bouger les lignes ! Vous apprendrez comment passer de l’envie à l’idée, et de l’idée à l’action. 简介: The unifying theme of this course is best captured by the title of our main reference book: "Recursive Methods in Economic Dynamics". We start by covering deterministic and stochastic dynamic optimization using dynamic programming analysis. We then study the properties of the resulting dynamic systems. Finally, we will go over a recursive method for repeated games that has proven useful in contract theory and macroeconomics. We shall stress applications and examples of all these techniques throughout the course. 简介: This course focuses on dynamic optimization methods, both in discrete and in continuous time. We approach these problems from a dynamic programming and optimal control perspective. We also study the dynamic systems that come from the solutions to these problems. The course will illustrate how these techniques are useful in various applications, drawing on many economic examples. However, the focus will remain on gaining a general command of the tools so that they can be applied later in other classes. 简介: Introduction to econometric models and techniques, simultaneous equations, program evaluation, emphasizing regression. Advanced topics include instrumental variables, panel data methods, measurement error, and limited dependent variable models. May not count toward HASS requirement. elds, such as economics, politics, law, biology, and computer science. In this course, I will introduce the basic tools of game theoretic analysis. In the process, I will outline some of the many applications of Game Theory, primarily in economics. 简介: 14.454 is an introduction to current macroeconomic concerns with particular emphasis on medium-run economic fluctuations, economic crises, and the role of asset markets. Topics include the explanation of high chronic unemployment in some nations, the source of modern liquidity crises, the origin and end of speculative bubbles, and the factors that lead to substantial periods of economic stagnation. 简介: This half semester class presents an introduction to macroeconomic modeling, focusing on the theory of economic growth and some of its applications. It will introduce a number of models of non-stochastic and stochastic macroeconomic equilibrium. It will use these models to shed light both on the process of economic growth at the world level and on sources of income and growth differences across countries. 简介: If you really care about the big questions in the economies and societies of the 21st century, this pioneering course is meant for you. If you want to gain more knowledge, in order to better understand the critical economic issues of the day - and how they can be resolved - here is a course that can truly change your outlook on our world. 简介: This course offers a comprehensive survey of world economic history, designed to introduce economics graduate students to the subject matter and methodology of economic history. Topics are chosen to show a wide variety of historical experience and illuminate the process of industrialization. A final term paper is due at the end of the course. 简介: This course is a survey of world economic history, and it introduces economics students to the subject matter and methodology of economic history. It is designed to expand the range of empirical settings in students' research by drawing upon historical material and long-run data. Topics are chosen to show a wide variety of historical experience and illuminate the process of industrialization. The emphasis will be on questions related to labor markets and economic growth. 简介: This course gives a historical perspective on financial panics. Topics include the growth of the industrial world, the Great Depression and surrounding events, and more recent topics such as the first oil crisis, Japanese stagnation, and conditions following the financial crisis of 2008. 简介: This course emphasizes the role of economics regarding its influence on food prices, the environment, and government policies. The primary objective of this course is to explore the basic tool kit of economic concepts that will enable students to critically analyze the choices they face as consumers and world citizens. 简介: This course uses theoretical models and studies of "old economy" industries to help understand the growth and future of electronic commerce. We will begin with a discussion of relevant topics from industrial organization including monopoly pricing, price discrimination, product differentiation, barriers to entry, network externalities, search and first-mover advantages. The largest part of the course will be a discussion of a number of e-industries. In this section we'll discuss extensions and applications of the ideas from the first part of the course, draw analogies to previous technological revolutions and read current case studies. Finally, we'll discuss two additional topics: bubbles in asset markets and the macroeconomic effects of the Internet. 简介: This course integrates psychological insights into economic models of behavior. It discusses the limitations of standard economic models and surveys the ways in which psychological experiments have been used to learn about preferences, cognition, and behavior. Topics include: trust, vengeance, fairness, impatience, impulsivity, bounded rationality, learning, reinforcement, classical conditioning, loss-aversion, over-confidence, self-serving biases, cognitive dissonance, altruism, subjective well-being, and hedonic adaptation. Economic concepts such as equilibrium, rational choice, utility maximization, Bayesian beliefs, game theory, and behavior under uncertainty are discussed in light of these phenomena. 简介: Introduction to a “money view” of economic activity for modern times, building on the intellectual traditions of British central banking and American institutionalism. Part one explores the economics of payment systems and money markets. Part two explores connections with foreign exchange and capital markets. 简介: Key economic and political challenges related to transition from the centrally planned economy to market system, history of market reforms in Central and Eastern Europe, former Soviet Union, Asia, Middle East, Africa and Latin America, the contemporary role of emerging-market economies in the global economy. 简介: This course is for students interested in conducting original research on economics questions. There will be an emphasis on choice of research topics, primary sources, data sources, and research methods. The primary activities are oral presentations, the preparation of a paper, and providing constructive feedback on classmates' research projects. 简介: This course will guide students through the process of forming economic hypotheses, gathering the appropriate data, analyzing them, and effectively communicating their results. 简介: This course explores the theoretical and empirical perspectives on individual and industrial demand for energy, energy supply, energy markets, and public policies affecting energy markets. It discusses aspects of the oil, natural gas, electricity, and nuclear power sectors and examines energy tax, price regulation, deregulation, energy efficiency and policies for controlling emission. 简介: This course explores the theory behind and evidence on regulatory, tax, and other government responses to problems of market failure. Special emphasis is given to developing and implementing tools to evaluate environmental policies. Other topics include cost-benefit analysis, measurement of the benefits of non-market goods and costs of regulations, and the evaluation of the impact of regulations in areas such as financial markets, workplace health and safety, consumer product safety, and other contexts.